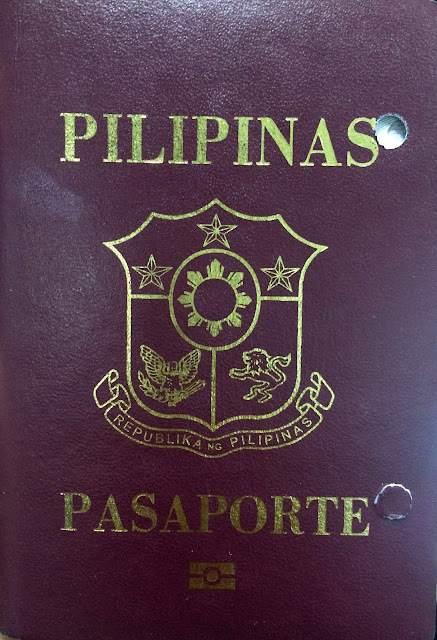 All the passport appointment slots on all 27 branches of DFA is already filled up (or blocked?). 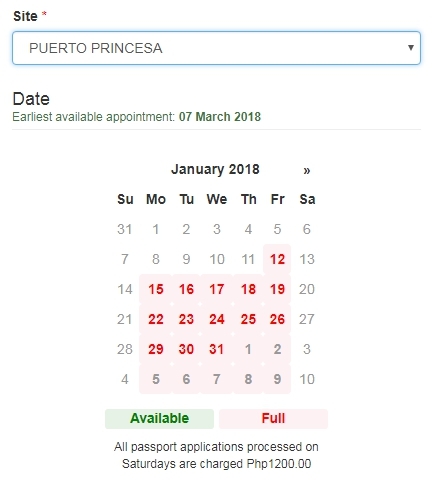 Yes, you can check it out at https://www.passport.gov.ph/appointment/individual/site. The only time I saw it opened up was the first week of December 2017. Then after a few weeks, all slots were already taken. 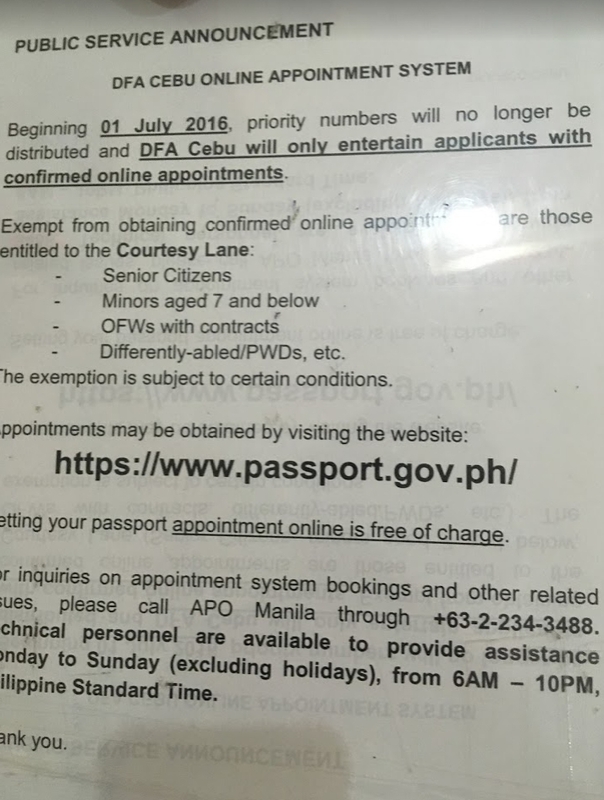 So earlier this month, I had a chance to visit Cebu DFA and I asked if there's a way to get my passport processed even though the slots were already taken. Like, walk-in in the afternoon after all the passport appointments have already been accommodated. After all, DFA Sec. Alan Peter Cayetano mentioned that there's about 40% no-show on the appointments, so I was thinking that there must be some extra time the DFA can accommodate walk-ins. Turns out..no...you really need an appointment. But wait, here's something you would like to know. So, when I arrived at Cebu DFA, I asked the guard. What I discovered made me feel confused (and suspicious). Here's what I'm talking about. The guard also told me that from time to time, slots were being opened even though it was previously declared full. For example, the guard mentioned that slots were opened up last Wednesday but it didn't last long before it was fully booked. But after a few minutes and I mean less than 10 minutes, both locations are now "fully booked" again. What??? I don't want to be suspicious but it appears to me that there's something sinister going on here. First, why do I need to call a phone number if there's an online system? Second, if it's true that they open up slots every now and then, does it mean that there really are slots available? But it leads me to yet another question, why was it declared "full" in the first place just to open up whenever DFA wanted? I don't know what's DFA internal process so there might be a good explanation for all of this. And there should be! I called APO Manila and minutes later, several slots were available in April. It takes around 15 minutes to fill up a group booking for 2. And before I finished, the slots were already gone, hayyyy! I called APO Manila again. Lo and behold, slots were again available a few minutes later. Filling up the booking was faster this time. I was emailed a provisional appointment slot that I had to confirm within 24 hours. The individual application forms were likewise emailed. 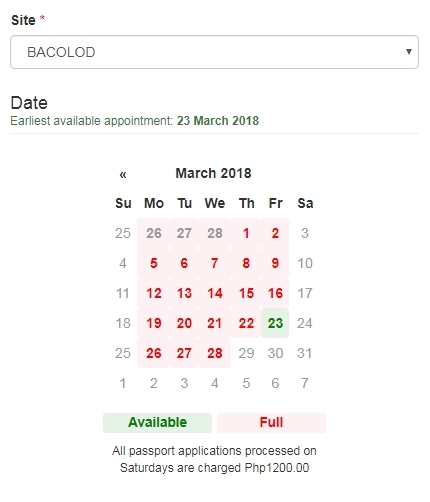 Naku, kailangan pala ng tiyaga to book a slot. Maybe DFA is doing this to discourage those who are not dead serious in booking an appointment slot. My first attempt was at DFA SM Manila for April 13, 2018. My second and successful attempt was at DFA Aseana for April 6, 2018.